2U is an education platform that invests in and partners with universities to offer online degrees, charges students tuition, and shares revenue with its partners. 2U is an education platform company that provides cloud-based SaaS solutions to colleges and universities so they may offer degree programs to students anywhere online. 2U does not charge the schools, but charges the students. It shares these revenues with the schools, creating financial value for suppliers (schools) and content value for users (students). Both direct and indirect network effects are engaged to fuel growth and sustainability. It is doing very well so far: high retention rates compared to MOOCs and other offerings, successful IPO with strong and steady growth since, current market cap over $4B. They continue to seek new ways to grow that enhance their value proposition: the core interaction between suppliers and users. 2U is a platform company that connects institutions of higher education with students. It provides cloud-based SaaS solutions that its partner colleges and universities can use to offer full-length online degree programs. In the tradition of other platform companies, 2U “consummates matches among users and facilitates the exchange of…services…enabling value creation for all participants,” in this case the schools, the students, and 2U itself . This two-sided market takes advantage of both “cross-side” (indirect) and “same-side” (direct) network effects . 2U strategy reflects a decision to focus on suppliers: schools. They charge no fee for universities to use their platform solutions, going so far as to call them ‘partners’ and engage with them on content creation, investing $5-10M into each partnership. Their strategy can be contrasted with Coursera, perhaps the most well-known of the MOOCs (massive, open online courses), which has created an open and free platform attracting over 20M users taking over 2,000 classes, from at least 149 institutions . The value of 2U’s approach is reflected in the $1.2B in attrition-adjusted tuition bookings the platform has generated to date . Harvard itself recently partnered with 2U to produce the Harvard Business Analytics Program, an executive certificate jointly offered by HBS, SEAS and FAS . 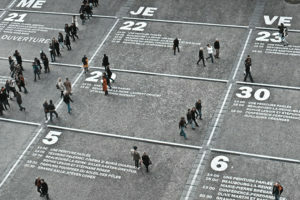 The effects of this strategy are also seen on the user side. The highest barrier-to-entry for users is the cost of the course and the commitment to a full degree plan. Students are more likely to pay and commit if other students who have had excellent experiences as well. The fee itself creates an investment on the part of the students that improves retention. Indeed, compared with initial completion rates of MOOCs on the order of 10% , 2U’s completion rates have been >80% [7, 8]. The cumulative effects on society of this platform are increasingly far reaching. In some programs, over 20% of students are first-generation college students. And the educational impact extends from the virtual classroom to the field. Some degrees require real-world placements for completion. 2U has excelled here as well, creating tens of thousands of placements, many in community-supporting roles. And their programs have been projected to produce more than 5% each of the nation’s MPH and MSW graduates . 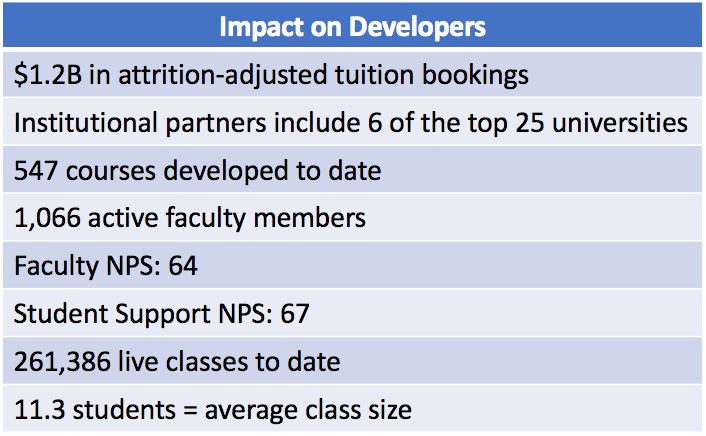 Because 2U “[creates] value they don’t own or control, they can [and have] grown much faster than traditional businesses.” Again, benchmarking against Coursera, which most recently raised $64MM at an $800MM valuation in June 2017  bringing their total funding to $210M . 2U meanwhile raised 97MM before its IPO in March 2014 [13, 14], and has its share price has grown from $13 to $85 for a market cap of $4.5B . 2U’s approach suggests they know that their strategy “should start with the design of the core interaction that it enables between producers and consumers” , which lies “at the heart of the platform’s value-creation mission” . By investing their own money in helping improve the content offered by the schools, they are maximizing the quality of this core interaction. In 2017, they acquired GetSmarter for $103MM, another education platform company helping schools offer premium quality short courses at a price for students (average length: 9 weeks; average tuition: $2,000), and achieving similar completion rates to those of 2U (88-90%) [18, 19]. GetSmarter has outstanding technologic capabilities, so the acquisition enabled further focus on quality at the core interaction. The acquisition also extended 2U’s reach into the the many countries and educational partners of GetSmarter, and added new capability in short courses. In January of this year, 2U announced a new partnership with WeWork, the co-working space company. This partnership promises to provide spaces for 2U students, offer scholarship opportunities for WeWork members and employees, and make available WeWork’s Flatiron School and their technological capabilities to 2U’s institutional partners . This move further enhances the value proposition of 2U, creates more opportunities for same-side network effects between co-habitating students, and shows that 2U understand that “in the world of platforms, competition becomes less important than cooperation and co-creation” . 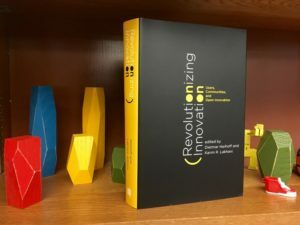 Throughout its remarkable streak of success, 2U has impacted the education landscape by “reconfiguring value creation to tap new sources of supply” in the sense that old institutions are supplying content in new ways , and “reconfiguring value consumption by enabling new forms of consumer behavior” . So far, all signs have been positive. It will be exciting to see what they do next. “Chapter 1. Today: Welcome to the Platform Revolution.” Platform Revolution: How Networked Markets Are Transforming the Economy and How to Make Them Work for You, by Geoffrey Parker et al., W. W. Norton & Company, 2017, p. 5. “Chapter 2. Network Effects: The Power of the Platform.” Platform Revolution: How Networked Markets Are Transforming the Economy and How to Make Them Work for You, by Geoffrey Parker et al., W. W. Norton & Company, 2017, p. 29. Mayer, Brittney. “Education for the Modern Era: Transform Your Financial Life with Online Classes from Coursera and 149 of the World’s Best Universities.” CardRates.com, 27 Feb. 2017, www.cardrates.com/news/learn-finance-online-from-worlds-best-universities-with-coursera/. 2U. “2U Impact Report 2016.” Institutional Impact | 2U, 31 Mar. 2016, 2u.com/impact/impact-report-2016/institutional/. Karoff, Paul. “HBS, SEAS and FAS Partner with 2U, Inc., to Offer the Harvard Business Analytics Program.” HBS, SEAS and FAS Partner with 2U, Inc., to Offer the Harvard Business Analytics Program | Harvard John A. Paulson School of Engineering and Applied Sciences, 7 Aug. 2017, www.seas.harvard.edu/news/2017/08/hbs-seas-and-fas-partner-with-2u-inc-to-offer-harvard-business-analytics-program. Kayla Webley. “MOOC Brigade: Will Massive, Open Online Courses Revolutionize Higher Education?” Time, Time, 4 Sept. 2012, nation.time.com/2012/09/04/mooc-brigade-will-massive-open-online-courses-revolutionize-higher-education/print/. 2U. “2U Impact Report 2016.” 2U, 30 June 2016, 2u.com/impact/impact-report-2016/. 2U. “2U Impact Report 2016.” Institutional Impact | 2U, 30 June 2016, 2u.com/impact/impact-report-2016/individual/. 2U. “2U Impact Report 2016.” Institutional Impact | 2U, 30 June 2016, 2u.com/impact/impact-report-2016/global-community/. “Chapter 1. Today: Welcome to the Platform Revolution.” Platform Revolution: How Networked Markets Are Transforming the Economy and How to Make Them Work for You, by Geoffrey Parker et al., W. W. Norton & Company, 2017, p. 15. Lunden, Ingrid. “Online Learning Startup Coursera Raises $64M at an $800M Valuation.” TechCrunch, TechCrunch, 7 June 2017, techcrunch.com/2017/06/07/online-learning-startup-coursera-raises-64m-at-an-800m-valuation/. Crunchbase. “Coursera.” Crunchbase, 2 Mar. 2018, www.crunchbase.com/organization/coursera. Empson, Rip. “2tor Raises $26M D Round To Put Online Degrees In The Same Class As Their On-Campus Rivals.” TechCrunch, TechCrunch, 2 Apr. 2012, techcrunch.com/2012/04/02/2tor-series-d/. Flook, Bill. 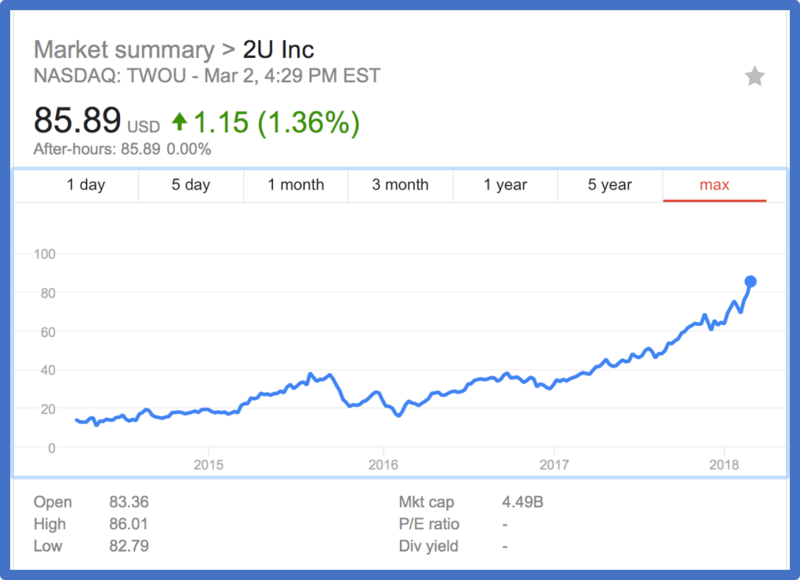 “2U Goes Public, Rings Opening Bell on NASDAQ.” Bizjournals.com, 28 Mar. 2014, www.bizjournals.com/baltimore/news/2014/03/28/2u-goes-public.html. “TWOU : Summary for 2U, Inc.” Yahoo! Finance, Yahoo!, 4 Mar. 2018, finance.yahoo.com/quote/TWOU/. “Chapter 3. Architecture: Principles for Designing a Successful Platform.” Platform Revolution: How Networked Markets Are Transforming the Economy and How to Make Them Work for You, by Geoffrey Parker et al., W. W. Norton & Company, 2017, p. 38. “Chapter 3. Architecture: Principles for Designing a Successful Platform.” Platform Revolution: How Networked Markets Are Transforming the Economy and How to Make Them Work for You, by Geoffrey Parker et al., W. W. Norton & Company, 2017, p. 59. Chow, Shirley, and Martin Hall. “2U, Inc. to Acquire GetSmarter.” Press | 2U, 2 May 2017, 2u.com/about/press/2u-to-acquire-getsmarter/. Withers, Brian. “Was 2U Inc. Smart in Buying GetSmarter?” The Motley Fool, 31 Dec. 2017, www.fool.com/investing/2017/12/31/was-2u-inc-smart-in-buying-getsmarter.aspx. McKenzie, Lindsay. “New Partnership Aims at Lifelong Learners.” New Partnership between WeWork and 2U Aims at Lifelong Learners, 23 Jan. 2018, www.insidehighered.com/news/2018/01/23/new-partnership-between-wework-and-2u-aims-lifelong-learners. “Chapter 10. Strategy: How Platforms Change Competition.” Platform Revolution: How Networked Markets Are Transforming the Economy and How to Make Them Work for You, by Geoffrey Parker et al., W. W. Norton & Company, 2017, p. 228. “Chapter 4. Disruption: How Platforms Conquer and Transform Traditional Injuries.” Platform Revolution: How Networked Markets Are Transforming the Economy and How to Make Them Work for You, by Geoffrey Parker et al., W. W. Norton & Company, 2017, p. 65. “Chapter 4. Disruption: How Platforms Conquer and Transform Traditional Injuries.” Platform Revolution: How Networked Markets Are Transforming the Economy and How to Make Them Work for You, by Geoffrey Parker et al., W. W. Norton & Company, 2017, p. 67. Thanks for the post! I find their strategy of charging the student side of the platform counter intuitive and potentially brilliant. Like you mention, the pain of coffing up some money actually encourages students to follow through on their commitment and that is reflected in higher retention rates. Im curious whether they are targeting international students or institutions. For international schools, their content creation strength is an appealling value proposition considering how far behind they are from US based schools. Also, with so many international students coming to the US, often paying full price tuition, demand should be strong for a remote offering. Thanks for the post! I think this is a great example of a platform company in the education space that is often not discussed – instead people look to Coursera, which has struggled to define a really strong business model. One interesting challenge that the online course education space has faced is that there seems to be strong multi-homing on the university side. When MOOCs launched, many universities were hesitant to fully commit to platforms and therefore have content across many of these different sites. For example, Harvard is both on EdX and on 2U, Stanford and Penn are on Coursera as well as EdX. So I’m curious how that is impacting 2U’s strategy to have the best partnerships and content to bring students to their site. Great post. Very interesting example of a multi-sided platform benefiting from both cross-side and same side network effects. For users it seems like multihoming won’t necessarily be a problem for 2U given the time commitment required to complete a certification, but I wonder how this will work for Harvard and other universities, who already work with EdX and other platforms. Thanks for the post Jay. I found the $5-10 million that 2U invests in each school “partnership” to be extremely interesting. They’ve obviously lowered the barriers to entry for schools to offer online degrees, but I wonder what the cost of switching is for both students and schools as competing platforms enter the space. How much of their own capital do schools invest and do they sign a multi-year contract? I am also curious about how 2U thinks about the commoditization of middle and lower tier school online degrees and the impact on their revenue model.